An investment advisor with a vision has tapped a retailing veteran from HR Block to help build out the Mutual Fund Store. Despite the name, the company is in practice an RIA founded by Adam Bold specializing in funds that now claims 54 offices in 46 cities. Bold lives up to his name with the hiring of David Byers as his new CEO. -ed. OVERLAND PARK, Kan.--The Mutual Fund Store�, an independent fee-based investment advisory business with 54 locations in 46 cities across the United States, today announces it will add a new CEO to its management team with the hiring of David Byers. With over 24 years experience in marketing and operations�including eight years at H&R Block, serving first as chief marketing officer and later as chief operating officer of retail tax services�Byers will work with company founder Adam Bold to expand on the growth initiatives Bold has already set in motion. The company founder, Adam Bold, assumes the title of executive chairman of The Mutual Fund Store as the company�s tremendous growth has compelled the existing management team to add depth and talent. Bold will continue to focus on marketing the company and, in his capacity as chief investment officer, overseeing the investment selection process for more than $3 billion in client assets. Byers comes to The Mutual Fund Store from H&R Block, where he served as chief operating officer for Retail Tax Services for the largest consumer tax-services company in the United States. While at H&R Block, Byers directed a major retail expansion effort, which opened 3,000 new storefronts and oversaw the company�s expansion into alternate distribution channels, including Wal-Mart. He also had daily operational responsibilities for the 12,000 U.S. retail locations and 100,000 U.S. employees. In his prior role as Chief Marketing Officer, he was responsible for Block�s Super Bowl ads, new store design and the now popular green Block logo. As chief executive, Byers will work in concert with Bold to focus on the company�s next phase of growth. Byers holds a Bachelor of Arts degree from Michigan State University in East Lansing, Mich., and completed an executive education program in Finance from the Stanford Business School. He lives in Leawood, Kan., with his wife and family. 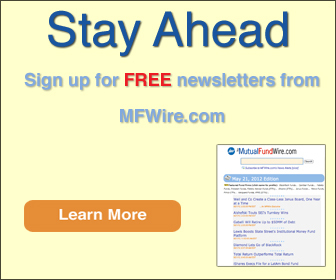 The Mutual Fund Store� (www.mutualfundstore.com) is one of the nation�s first fee-based investment advisory firms to focus exclusively on mutual funds. The Mutual Fund Store advisory offices across the U.S. collectively manage client assets in excess of $3 billion, using a proprietary Strategic Asset Allocation System (SAMS) and a variety of analytical tools to screen more than 23,000 mutual funds and fund managers. This process allows The Mutual Fund Store advisors to recommend personalized investment portfolios designed to be consistent with clients� objectives, time frames and risk tolerances. Special emphasis is placed on evaluating performance of individual fund managers and selecting those with historically strong records. 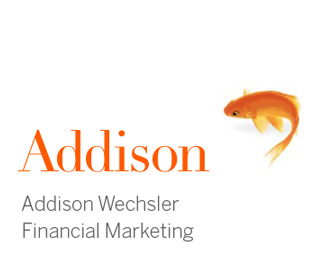 Clients include individuals and company pension plans. The Mutual Fund Store is recognized by Schwab Institutional as one of the country�s fastest-growing independent investment advisory and management firms. Schwab Institutional, the professional manager division of Charles Schwab & Co., is the custodian for The Mutual Fund Store client accounts. Founder Adam Bold is a nationally recognized expert on investing and has appeared on CNBC television and numerous financial programs and publications. He also hosts "The Mutual Fund Show" (www.mutualfundshow.com), a weekly syndicated program that airs on local radio stations across the United States.